The Climate Change Initiative underwent a mid term review of the programme at the end of September 2012. 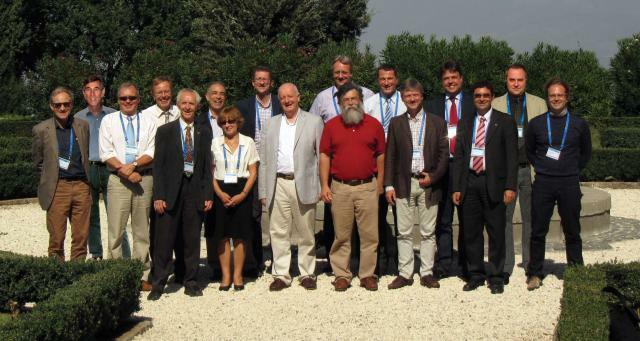 The one-day meeting was held in Frascati (Rome), Italy where teams of delegates from the 15 countries that fund the CCI gathered to hear presentations from the programme. 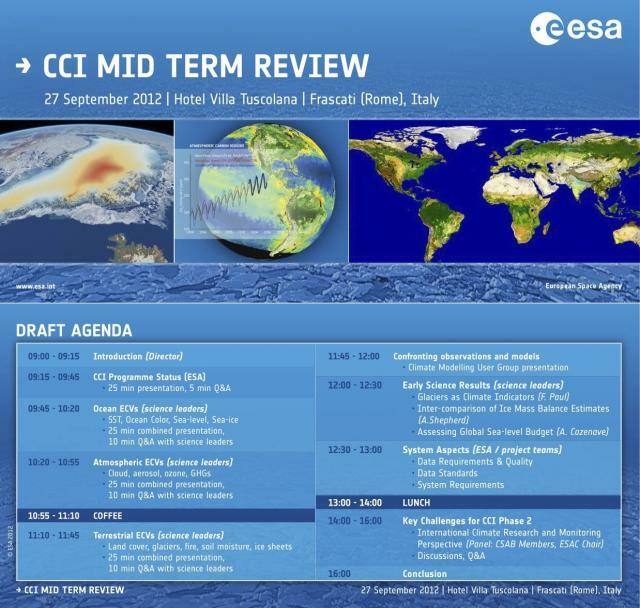 The Science Leaders from all projects attended to present the progress made so far by each Essential Climate Variable. While information was given about each project, there was also an emphasis on what they have achieved together, and what further benefits can be gained from close cooperation in the next phase of the programme. The delegates were able to ask questions to both the Science Leaders and Programme Managers and a discussion session was held on how to proceed in Phase 2 of the CCI. The feedback from delegates was positive and any points raised were provided as a list of recommendations, which have been fed back to ESA. The programme for the day is available below and the CCI Status Report, presented to delegates, will be made available shortly.